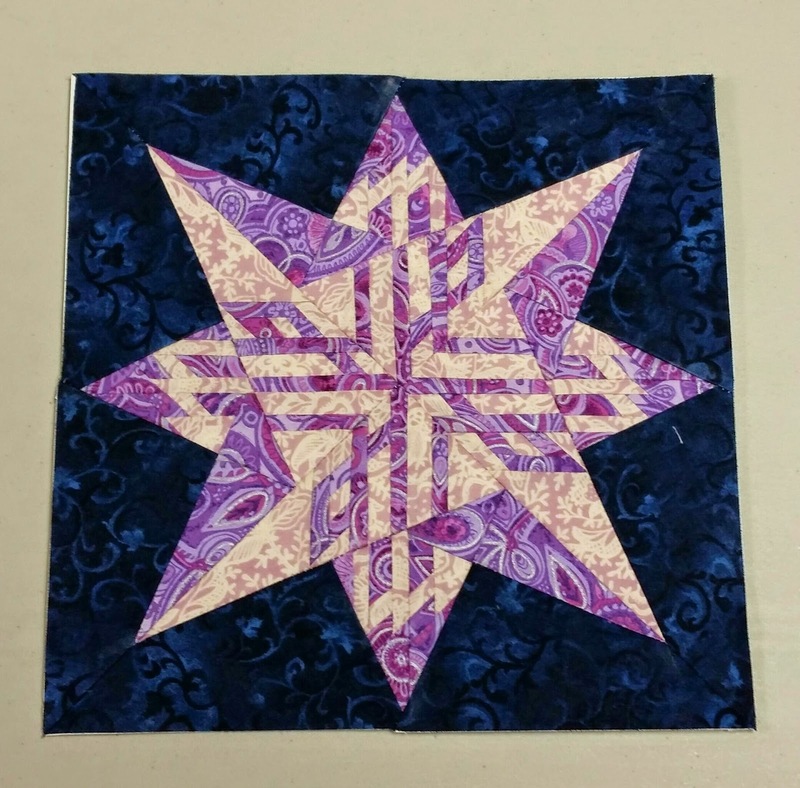 A Quilting Chick: Starlets Done! I finally got back to my machine last night. I really hope this isn't a portent of weeks to come where I only get to sew a few times a week! I need my sewing time to stay sane, especially during the holidays!!! But I did manage to get these little guys finished. 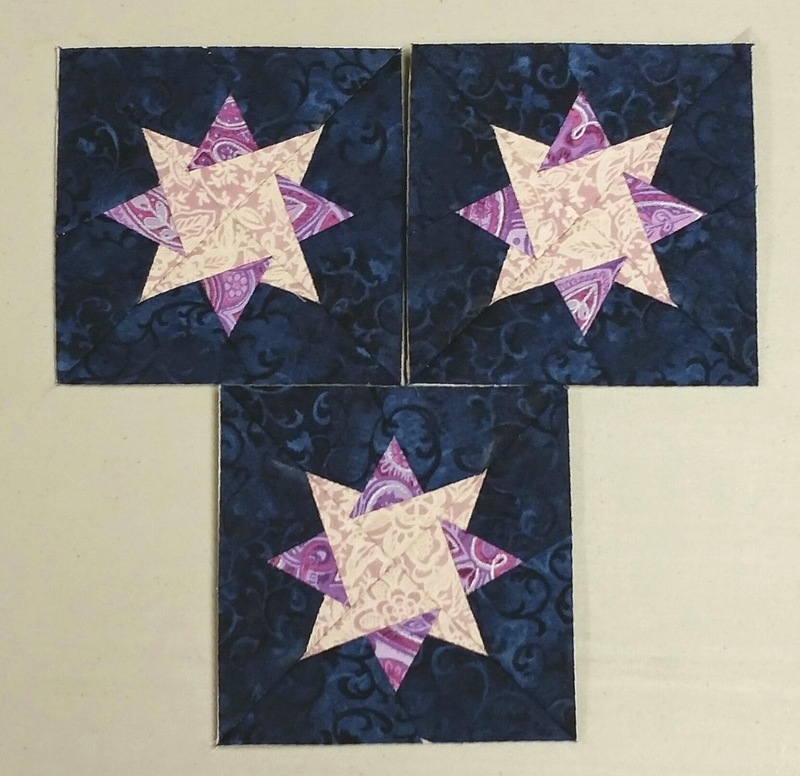 They are the starlets for the Zodiac Stars quilt. You may remember their big brother, Sagittarius. This quilt is for my niece's graduation. There are (of course) twelve of the large blocks, one for each sign in the zodiac. The small stars will have either two or three and I'm making them to match the larger stars. I need 32 small stars so I'm trying to divide it out as best I can. My niece is a huge Doctor Who fan (as am I) and so I'm going to throw in a few of my favorite Doctor Who things as well. I'm saving those for last though as a kind of incentive to get through the rest of the blocks. I estimate that this large zodiac block took me about 10 hours to complete. Each of the quadrants had 5 sections to it, so a total of 20 paper segments for the one block. Hopefully tonight I'll be able to catch up on my Christmas quilt. Was working on the ornament block last night but I need to get some trim, which I'm hoping to do on the way home tonight. Linking up with My Quilt Infatuation. Bow ties are cool. And so is your quilt! Can't wait for the Dr Who stuff either!